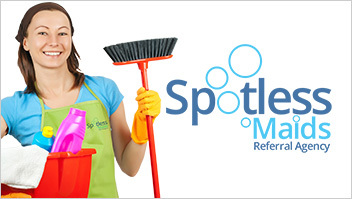 Let Spotless Maid’s Referral Agency’s Cleaning Associates clean your home to your exact specifications. Our Independent Cleaning Associates are experienced professionals. They will clean your house like it was their own. We clean every part of your house. We know you have more important things to do with your time and energy. Let our Cleaning Associates handle the cleaning of your home on a regular basis. We work with every customer individually to design a cleaning regiment to complement their home, schedule, and lifestyle. Weekends aren’t made for house cleaning. Call 909-740-6795 for more information or fill out our online form for a no obligation price quote.